Staff Member: Sister Jean Marie Walczak, S.N.D. Sister Jean Marie Walczak, S.N.D. Sister Jean Marie Walczak is a Sister of Notre Dame. She has been with St. Richard Catholic School since 2011 as principal. She is a graduate of Mary Manse College, Toledo, Ohio, with a Bachelor of Education and Ball State University, Muncie, Indiana, with a Master of Arts in Education. She received her Administrative Certification from Ursuline College in Pepper Pike, Ohio. 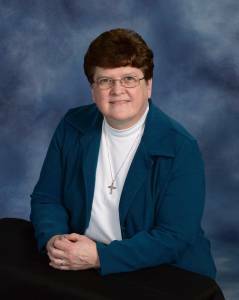 She has ministered in various Catholic Schools in Indiana, Michigan and Ohio.